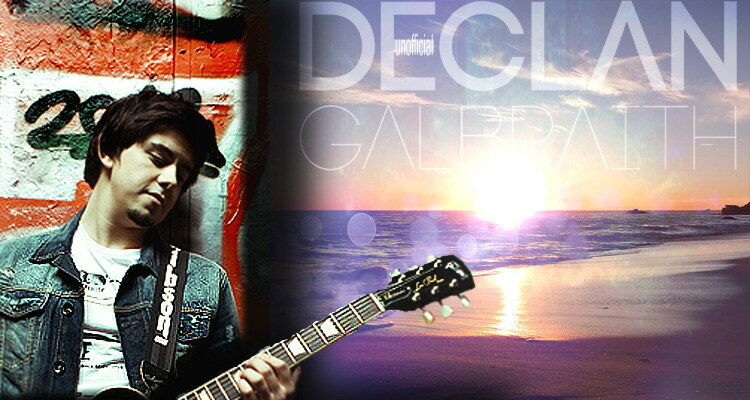 Here are the official pages for Declan Galbraith, anything else is a fan page or a fake! Thank you for supporting the one and only Declan Galbraith! What about FOD?&thank u for all the links! FOD or WFOD as it is now called is not an official site. Only the sites Pietro listed above are sites that Declan has officially recognized as his sites. Either he or his management team has set these sites up for Declan's use. SDG is not an official site either but we are hoping that Declan has seen this forum and we know that his family members are aware of these two sites that are totally dedicated to Declan. Since we have not heard any negative comments regarding these sites from Declan or his team and his family members, then we are doing a good job and they don't mind us having them. We hope in the future that Declan himself will give us a big thumbs up here!